Are you a Caricom citizen? During Carifesta in Suriname, I took the opportunity to ask many of the participants a simple yet deep question – Do you think of yourself as a Caricom citizen, why/why not? I have spent the past two years of my life studying the closest thing to governmental policies and diplomacy at the University of Guyana, International Relations. She has lost the blue hair, for now at least, and has come out with an empowerment anthem that pulled the carpet out from under Robin Thicke’s “Blurred Lines” to take the number one spot. On September 8 and 9, Guyana joins the international community in celebrating World Literacy Day which is a celebration of those who have triumphed in learning to read and write; a celebration of those who teach literacy and a call for all to become literate in their language. April was the final of six consecutive months of reviewing city restaurants and visiting Cafés was the ideal way to close this mission. Done in the month of March, this was a short mission since there are only two prominent sandwich shops in Guyana: Quiznos and Subs and Salads. There aren’t many restaurants with the word ‘burger’ in their names; maybe JR Burgers is the only one. This review was done in January, a month where perhaps all business is slow, crash except for the restaurant business; we’re always hungry. I know I said last week that it was the perfect time for pizza, well what about ice cream? This might be the perfect season for a scrumptious, juicy, mouth-watering slice of pizza, but I did this back in November 2012; it was the first category I did. People’s food preferences make for healthy and sometimes heated debates when it comes to choosing where to eat in Georgetown. Welcome ‘Summer’ vacationers: members of the Diaspora and the average Guyanese who wants to explore the lost wonder of the world known as Guyana. From the inception of the Caribbean Community and Common Market (Caricom) in 1973, economic integration and a viable trading bloc were the incentives behind the regional integration. Since the 70s, the Brain Drain and its effect on every aspect of society have been injurious to our strength as a nation. I had been to numerous drama shows but never a musical in Guyana, until the Georgetown International Academy’s (GIA) production of The Lion King. On Tuesday evening, the Georgetown International Academy staged The Lion King – (the musical). Still in the spirit of Independence, I continue to ponder how our country is viewed. Walk along Avenue of the Republic in Georgetown and you will come across several bridges, some beautifully designed in wrought iron; some with the British insignia, rusted and broken but still there. This week, we present a review on the five who were knocked out; why some should come back and projections on who might win the 2013 Guyana Star GT&T Jingle and Song Competition. The ten finalists of the GT&T Jingle and Song Competition have been announced from the list of 15 who competed in the semi-final. The semi-final of the GT&T Jingle and Song Competition featured Caribbean Night so the contestants had to bring it home with Soca, Reggae and Dancehall. Today The Scene commences its seven-week review and analysis of the GT&T Guyana Star Jingle and Song Competition with the Quarter Final/Individual Round which aired last Sunday. Guyana is in dire need of a Rosa Parks; someone to stand up and say no. So where was I? Oh yes! Sharing with you a minute journey of realisation I had when compared to so many adventures Guyana has to offer. Once you’re a true Guyanese you have that instinctive attachment to the earth and you have that innate feeling of adventure – a certain fire within you is set ablaze, not so? The arts, whether drama, dance, drawing, painting, fashion, is a means of expression. As Guyana warms into the technological and digital age, more and more Guyanese are logging into and being part of the infinite world of possibilities – the internet. “You ever heard of Saul Out or Hopscotch?” I asked Nixon, son of one of my co-workers. Dear Brother Gog, I am saddened. I am hurt. I am crying and it gives me grief to say that I have lost a lot of faith in you. I am here! Here in the beautiful, great, green land of Guyana. Land of the floating bridges; land of the Jaguar, the Canje Pheasant and the Victoria Regia; the Mighty Essequibo, the towering Roraima and the vast Rupununi; the golden brown Atlantic Ocean and the colourful people. As our 43rd Republic anniversary approaches, some amount of introspection is required. Don’t we all, as we begin a new year of life, look back at the successes and failures of the past? Last week saw me at the premiere of three films from local filmmakers, under the banner ‘Femme’, by CineGuyana – the Film Producing Company of Guyana. For those of you who are subscribed to a cable network, the History Channel’s Bamazon has been on your schedule for the past three months hasn’t it? Innovation – A new idea, method, device. Innovation – Introduction to something new. The buzz in Guyana right now is about the twin theatres: Kara and Nash, together they are under the ‘Avinash Theatres’ brand and they are the pre-ups to a mega entertainment complex the company is still working on in an effort to remodel Water Street, Georgetown. My editor knows that I put Soca and Dancehall in front of every genre of music man can think of, everything else is too profane, too stupid or too annoying. Ohhh… You’re broke? I know that feeling. Head hurts? Same here. Too tired? Hehehehe… well what do you know! We’re alive! No doomsday prophecy (I told ya!) ended the world. There is nothing better than the Holiday Season at home, why dream of a white Christmas when you can live happily in your green paradise? Mass hysteria, new religions, blockbuster films, scientific explorations, studies of ancient cultures and lost studies – all centre around the Mayan Prophecy of the ending of the world on December 21, 2012. This is the second week of the month when Culture Box usually does a review on the Month’s History, but we’re making a little exception to share a poem from the last Upscale Poetry Night. It is a fact that Guyana is a lawless state. In so many ways, we lack the norms of societal etiquette. Today, Culture Box returns to highlighting some of Guyana’s poems. This one was performed at Upscale’s Poetry Night this month. A generation has gone, a next one rises. On your journey you would expect to be sitting next to some of Guyana’s most decent, intellectual minds. 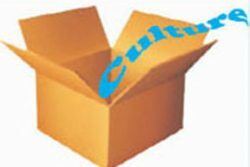 As usual, the second week of the month is when Culture Box takes you down ‘Memory Lane’. They say lucky is a word that can always describe Guyana when it comes to natural disasters. Call me a hypocrite now. For months, I have spoken out about how we as a people should never kick our local artists. When will the curtains close on stupidity? Thirty-six years and still standing strong; 62 ft towards the sky; 240 ft long and 114 ft wide – the National Culture Centre is the pride of D’Urban Park, Georgetown. I am starting a tradition of highlighting the events of each particular month at the second week.